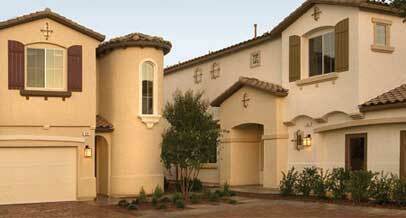 Wine Ridge Estates Las Vegas homes offer the lowest prices of the year for a limited time. Pageantry Homes promotion is valid for the month of October through December 1, 2007. The real estate developer will guarantee home prices for more than a year in Wine Ridge Estates. Select homes at Wine Ridge Estates neighborhood include the builder incentive. The new homes for sale in Las Vegas has three floor plans from the mid $200,000s with 1,944 to 2,241 square feet. Wine Ridge Estates and Pebble Crossing homes for sale in Las Vegas, Nevada real estate has a builder’s incentive program. This incentive program includes zero down, zero closing costs and zero payments for 18 months. As you can imagine this program has been very well received. The new home buyer incentive program is available with Pageantry’s preferred mortgage loan lender. Both Pebble Crossing and Wine Ridge Estates homes are available in this promotion.